“These words in this order” is a surprisingly useful description of all writing and especially of good writing. An editor’s job is help writers find the most effective words and make the best use of them. Attendees to this seminar will have an experienced editor look at their words and their arrangement and discuss how they can become more dynamic, more energetic, and more individual. Each seminar will focus on a few short pieces of writing submitted by the attendees and celebrate achievements, improve missteps, and explore possibilities. Editing is a conversation and this meeting intends to be a lively, informative, and unpredictable exchange of ideas. All types of writing are invited. You are not required to submit work to take the seminar. Writing sample instructions: To have your work considered for the seminar discussion, please send a writing sample to writers@nysoclib.org with the date of the seminar in the subject line at least 2 weeks before the seminar date. Sample should be a MS Word document that is no more than 7,500 words, and formatted as follows: Times New Roman, 12-point font, double-spaced, one-inch margins. Please note that not all samples will be discussed in the session. Writers whose work will be discussed will be notified a week before the seminar, and at the seminar they will be asked to introduce their work. Work will be chosen on the basis of how useful it is for discussion rather than quality. 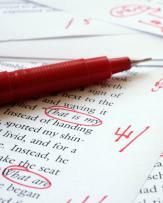 Writers may resubmit work for a later seminar if it is not used. Walter Bode has been in book publishing for three decades, both as an editor with publishing houses in New York and now independently. Books he has edited have won the Pulitzer Prize, the National Book Critics Circle Award for Fiction, the Casey Award for Best Sports Book, the Lambda Award for Best Fiction, the Whitbread Award for Biography, and the Gold Dagger for Best Mystery Novel. He has learned something from every book he has edited. Register for and attend any or all. To register, log in and complete the form. Please click the Register button only once. The website may take a moment to process your registration and show the confirmation screen. With registration questions, contact the Events Office at 212.288.6900 x230.